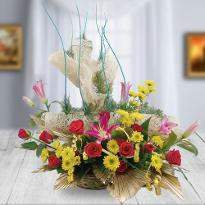 Flowers are the evergreen way of expressing your emotions. 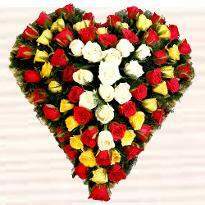 Human has many kinds of feelings and for expressing it, a different flower is used all the time. 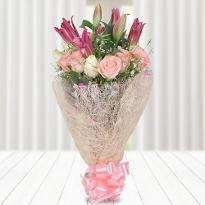 Why not this time, surprise your loved ones with a mixed flowers bunch? 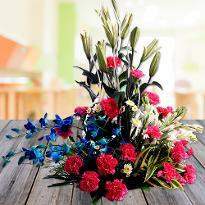 The bunch includes the most amazing floral beauties like Carnations, Lilies, Roses, Orchids, Gerberas, etc. All are packed with utmost perfection and care as Winni understands that your feelings are precious and it can only be expressed with something adorable. 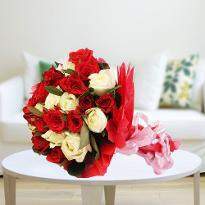 So, place your order and send mixed flowers online using the timely delivery services of Winni. 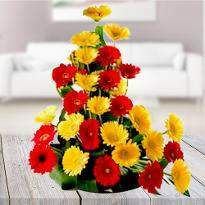 Flowers are one of the sweetest creation of God and that’s the reason why they are the center point of every occasion. 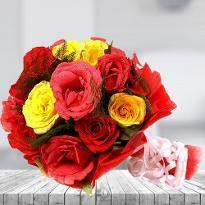 The appearance of the flower on the earth is the blessing that spreads beauty in nature as well as in human’s life. 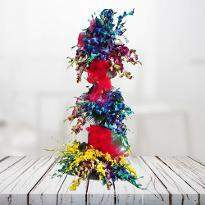 Its unique colors and stunning beauty can take away the heart of anyone. The presence of such a lovely creation at any moment put magic in it. 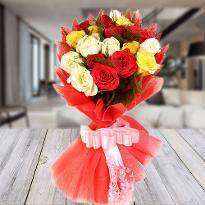 Really nothing can be more dazzling than the irreplaceable beauty, unique colors and lovely appearance of the flowers. 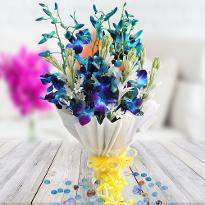 When it comes to spreading happiness, joy and good vibes, the magic of flowers never fails to impress other. 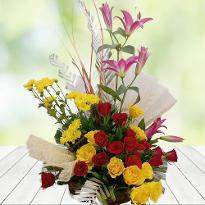 When a single flower can do so wonders in your life then what about a mixed fresh flowers arrangements. Think about it! 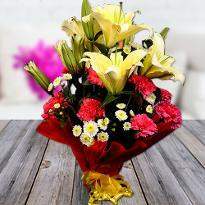 Stunning beauties of a variety of flowers representing warm wishes, love, purity, gratitude, good vibes, love and affection, wrapped in an elegant unique bunch will be an evergreen gift for all occasions. 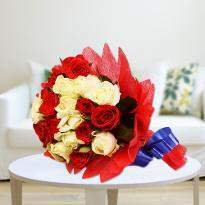 You can order mixed flowers arrangements online from Winni and avoid the hassles of running to a local florist. 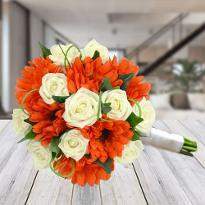 Winni is an ideal place where you will experience a wide array of mixed floral arrangements that can be used for gifting on some special occasions like Birthdays, Wedding Anniversaries, Congratulations flowers. 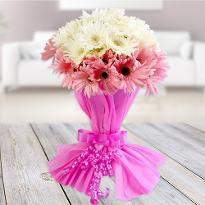 The thing you need to do is to place your order at our website Winni.in and click on the flowers you desire to buy. 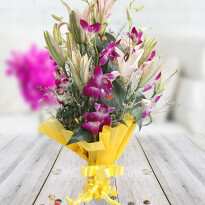 Our team will deliver your floral gift right at your desired place with complete ease. 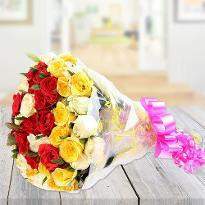 Flowers have their own language. 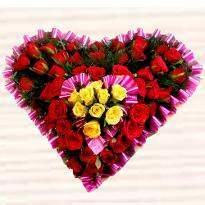 They are considered as a beautiful gift of nature and have the utmost importance in every sphere of human life. 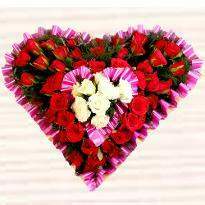 Winni presents you a fantastic flowers arrangements of various designs and type for making your every special occasion more cherished. 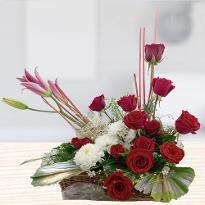 Occasion means celebrations and for your every dazzling celebration, we have special flowers arrangements. 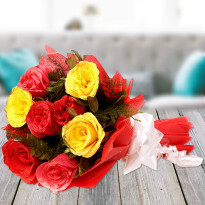 From the red roses of love to the orchids of sympathy, carnations of good luck to gerberas of happiness, our wide assortment are full of happy flowers that are ready for expressing your feelings. 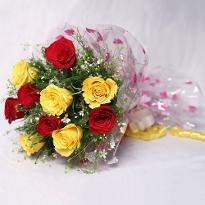 Gifting flower to someone is the loveliest way of representing your feeling towards your special ones. 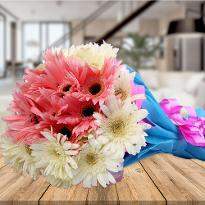 Actually, they play a vital part in making the life of every person more cheerful and happy. 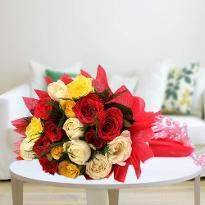 With Winni, you can buy mixed flowers online and get it delivered with complete ease and care. 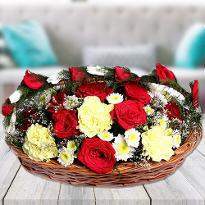 Winni provides you ease of ordering and sending mixed flowers online with a click of a mouse so that you can’t miss out any chance to enjoy the occasion or celebration. 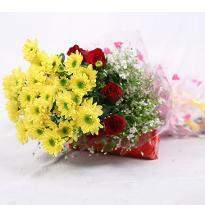 Just pick the desired one and send it online using the same day mixed flowers delivery. 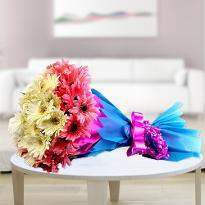 Go ahead and dazzle up the day of your dear ones with this fantastic floral gifts.